← Too Many ‘Critics’ Spoil The Blogs? There was more casting news for The Dark Knight Rises this week. These announcements were met with much speculation, argument, and, most of all, excitement. This is almost in direct contrast to the reception that the casting news for the new Superman film, Man of Steel, has endured. Batman and Superman are DC’s two biggest properties, and are two of the most popular superheroes in history. There is currently much disparity between the treatment the two properties are receiving, with almost overwhelming positivity towards the next Batman film by the fans, and little else but negativity aimed at Zack Snyder’s project. It was revealed some time ago that Superman would be played by British actor Henry Cavill. The was much complaint about this decision. How could a Brit play such an all-American symbol, a character so embedded in the culture of the US? How could an actor from overseas possibly play… an alien from another planet? It’s fair to say that Superman is an American icon, as much a part of their cultural history as the Statue of Liberty, and indeed Hollywood itself. However, the character himself is most certainly not American born, and though he has spent his life there, to meet the news of the casting of a fine actor with such negativity is ludicrous. When you look at the calibre of actors who have come close to donning the red cape over the years,(Brendan Fraser anyone? ), Henry Cavill is a very good shout, and probably the best of the casting so far. Lois Lane has also been cast, and will be played by actress Amy Adams. Critically acclaimed, Golden Globe nominee, 3-time Academy Award nominee. Oh, red hair. Well that’s no good…. Upon news of Adam’s casting, there was a cavalcade of ‘better alternatives’ rolled out by fans, with popular opinion being that as a redhead, she should probably be Lana Lang instead. Again, casting a well-respected actress is a promising sign, and Adams is very versatile, able to play sassy, vulnerable and the whole spectrum in between, a must for the potentially multi faceted character of Lane. Jonathan Kent has also been cast. Now, I realise Kevin Costner has always been maligned by many, so there was always going to be a chorus of groans and curses. Actually, to be fair, I haven’t read much negative feedback on this casting. Costner definitely has great screen presence, and throughout his career has done a great job of playing very earnest, wholesome characters. He also has that very rural aura about him. For the role of salt of the Earth farmer Kent, full of sage wisdom and dignity, he is probably perfect. Michael Shannon, best known for his small but fantastic role in Revolutionary Road, and more recently his prominent role in Boardwalk Empire, was announced as another addition to Man of Steel. Shannon is well-respected, and a pretty hot property right now, so there were no arguments with his appointment. There was, however, a lot of disappointment that his character, General Zod, would be the villain ‘once again’. Now, there have been five Superman films so far, and Zod has appeared, as a main character, in just one of them. Only 20%. Lex Luthor has appeared in them all! I have no problem with General Zod being called upon to match Superman this time around. One thing a great hero needs is a villain that can prove his equal. Whilst Luthor’s diabolical plans are always designed to negate Superman’s great powers, there is only so often you can rely on the old Kryptonite. Bryan Singer’s Superman returns was criticised for its lack of action, and with only Luthor as the villain, there was no-one to match Superman physically in that film. Say what you like about Nuclear Man, he could at least stand toe to toe with Kal-El. Having a villain like Zod, someone who can go blow for blow with the hero, guarantees action, and in any movie the hero needs to be vulnerable. You need to be able to believe that he is in genuine peril. If Man of Steel is successful, no doubt other more exotic villains from the canon will be used to appease the comic book fans, but for a reboot it is sensible to stick to the characters the mainstream public have heard of. Possible the most divisive decision was made early on, that being the appointment of director Zack Snyder. Snyder’s CV can be considered spotty at best, with flashes of brilliance, but an overall lack of genuine substance to his movies. The recently released Sucker Punch looked to be a big indicator of whether he might really be up to the job. The first Snyder movie not based on a franchise or license, it would be all his own work. Once again, the lack of substance has been the overriding theme of the reaction to this latest picture, but opinions have been polarized. many have seen a level of genius in the certainly very original movie. The action scenes are undoubtedly stunning, and Snyder is clearly a very visual director. For me, this is a good thing when you are dealing with a primary coloured superhero, because you need a very distinctive visual look to allow audiences to buy into the colourful outfit, and superhuman powers involved. Lastly, there has also been rumblings of ‘third act problems’ with the screenplay. As a writer, David S. Goyer does not necessarily have the greatest track record. He was involved, though, with writing Nolan’s Batman films in one capacity or another, and with Nolan working as the ‘Godfather’ on this project for a time, you have to be optimistic that they have managed to recreate the magic that made Batman Begins and The Dark Knight such big successes. 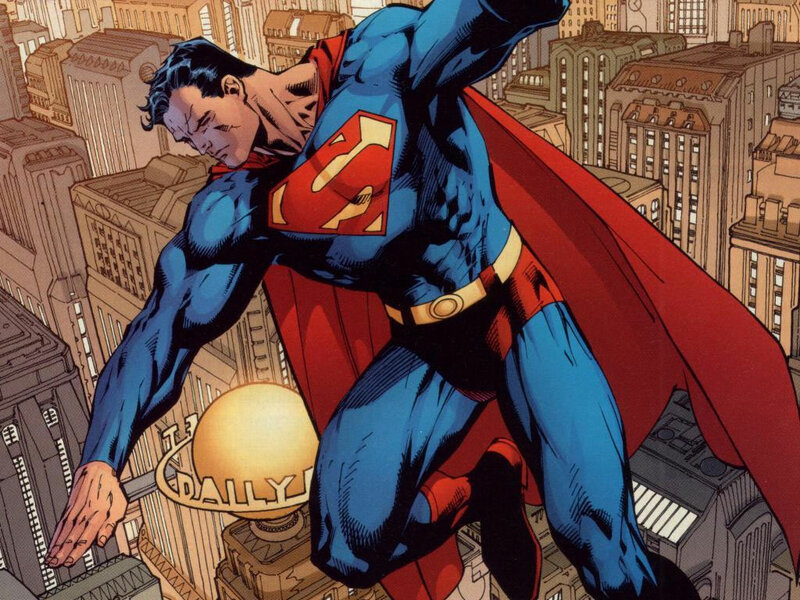 Superman was once the biggest of the superheroes, both in comics and cinematically. That he has fallen from grace in favour of Batman, Iron Man and the rest is somewhat of a travesty. The legacy of the poor sequels to Richard Donner’s first two movies, and Singer’s ill-advised love letter to those original films, is a disinterested audience. I think, however, it is important to remember the poor shape Joel Schumacher left the Batman franchise with his garish, campy takes, and how that was so quickly forgotten with two great, great movies by a dynamic young director. History could repeat itself with Man of Steel, and as a true Superman fan, i hope it does. If the fanboys stop complaining in micro detail about each decision that is made along the way, we can maybe all start to look forward to what has the potential to be another great superhero movie. This entry was posted in Articles, News and tagged amy adams, batman, casting, christopher nolan, comic book, dark knight rises, david s. goyer, film, hanry cavill, hero, kal el, man of steel, michael shannon, movie, news, rumours, superman, superman returns, villain, zack snyder, zod. Bookmark the permalink.